Today, Sunday 24th September, a general election takes place in Germany. Whilst we have seen the right wing rise in America and come close to parliamentary success in many European counties in recent elections (notably France) the country that I would have thought we were least likely to ever see this happen is Germany. 84 years ago in 1933 – Germany elected a far right wing Nationalist party, this led to some of the worst atrocities in modern history and ultimately World War 2. Ever since then, the Germans have kept the far right out of their Parliament and no far right wing party has ever held a single seat since. I doubt that fact would surprise anyone given the scale of what went on there and less than a century later with some of the people who endured it still around to remind us of the danger that the far right wing can present, it is almost a given! So imagine my surprise when I discovered that the polls suggest that for the first time since World War 2 a far right wing party are looking likely to win seats in the German parliament today. 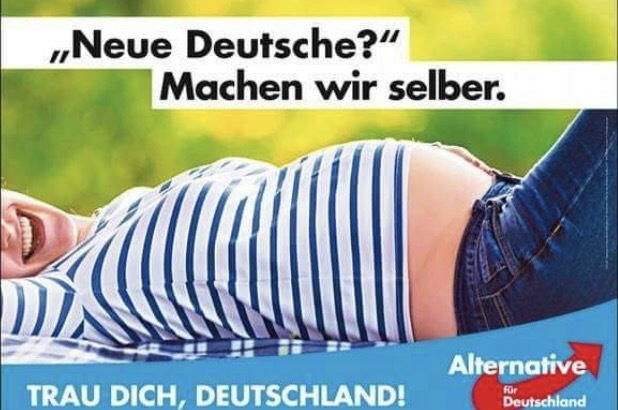 The party in question are called the AfD or “Alternative for Germany” and when I say they are anti immigration, I mean it. Their election campaign has centred around anti Muslim rhetoric and the campaign posters are well…. not dissimilar to the hate spilling and divisive ones produced by the Nazi party 84 years ago. 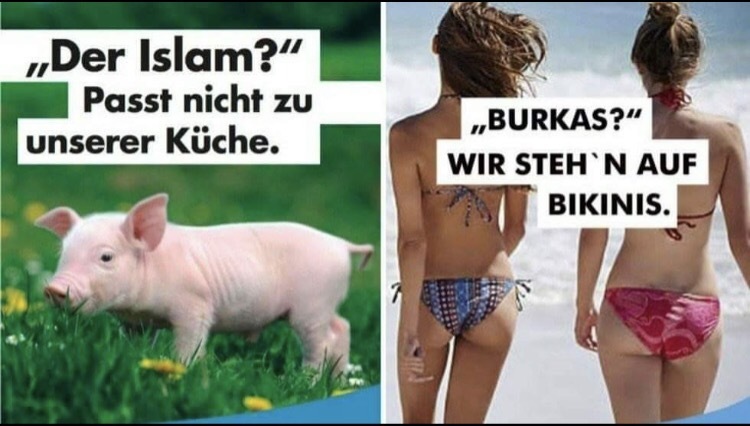 They later pulled a poster from their campaign that read “Islam does not fit with our cuisine!” displaying a picture of a piglet, but not for reasons you might think. They did not pull it because they realised it was racist, they pulled it because they realised it was not having the desired effect because people felt sorry for the pig! More worrying still, this party do not look set to win just a couple of seats from misguided protest votes that would give them little influence, they are looking as though they will win many and could actually become the official opposition. So, what has changed? Why are German people now looking to a far right wing party to represent them after shutting them out for so long? 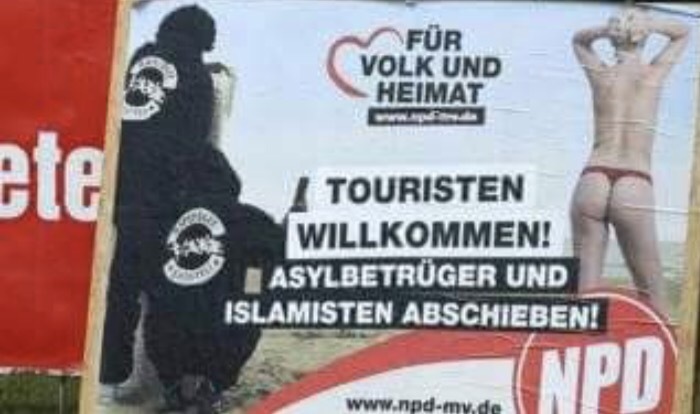 Well, it would appear it is down to Merkel and her parties policy on refugees. There appears to be huge division in opinion among citizens on this particular policy. Some German people are proud of it and see it as something to celebrate, others see it as irresponsible, a drain on resources and a danger to homeland security. None of the other mainstream parties seem to be offering anything much different in terms of their stance on immigration and as a result, people are turning to the far right. Merkel looks set to stay in power for an impressive fourth term, not by a majority win but rather a coalition government and who that will be formed with remains to be seen, but I think given the vast difference in stance on immigration alone it will not be the that AfD she chooses to share power with. Whether the pundits are correct and the AfD will do as well as is being suggested will become clear this evening when the ballots close and if they do I think this raises some questions for the left wing all over Europe – if the right can even rise in Germany after what they did there, is anywhere safe? Posted on September 24, 2017 September 24, 2017 by The AvengerPosted in Politics, Social CommentaryTagged election, far right, Germany, Islam, islamophobia, merkel, Politics, racism.